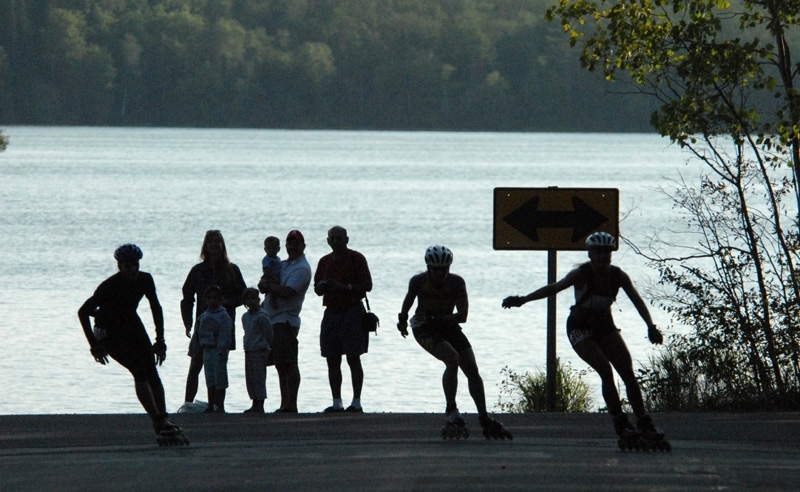 Silhouettes - Skaters and spectators are silhouetted against one of several lakes that lent their luster to the scenic Hayward road course. The skater on the far right is Rebecca George of Baxter, Minn. The 22-year-old has emerged this summer (seemingly out of nowhere) to become one of the top female marathon skaters in the Midwest.